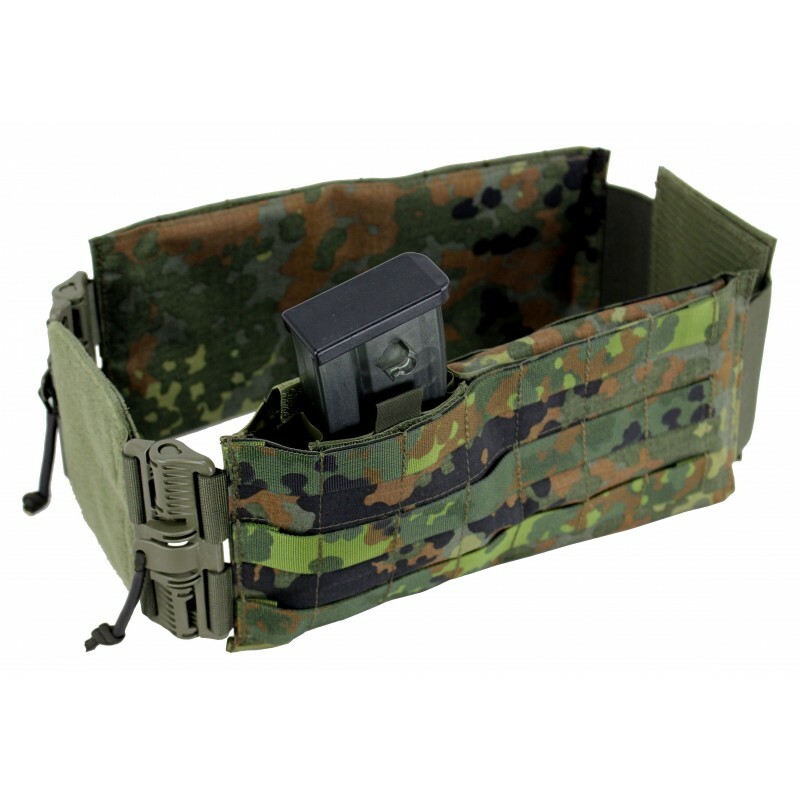 Kummerbund conversion kit with the "Rapid Open Connector". 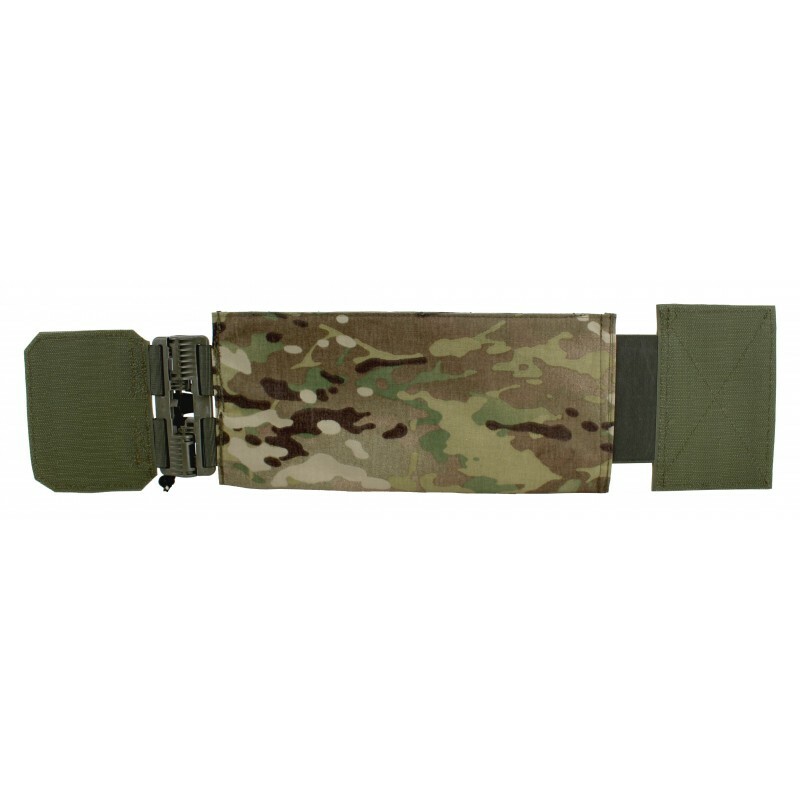 ZenTube cummerbund fit plate carrier Vulcan, Vulcan 2, ARES. 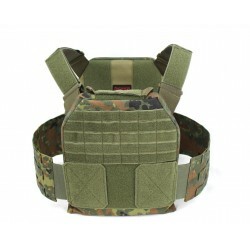 Ballistic protection packages of protection class NIJ IIIA or NIJ IV are suitable. 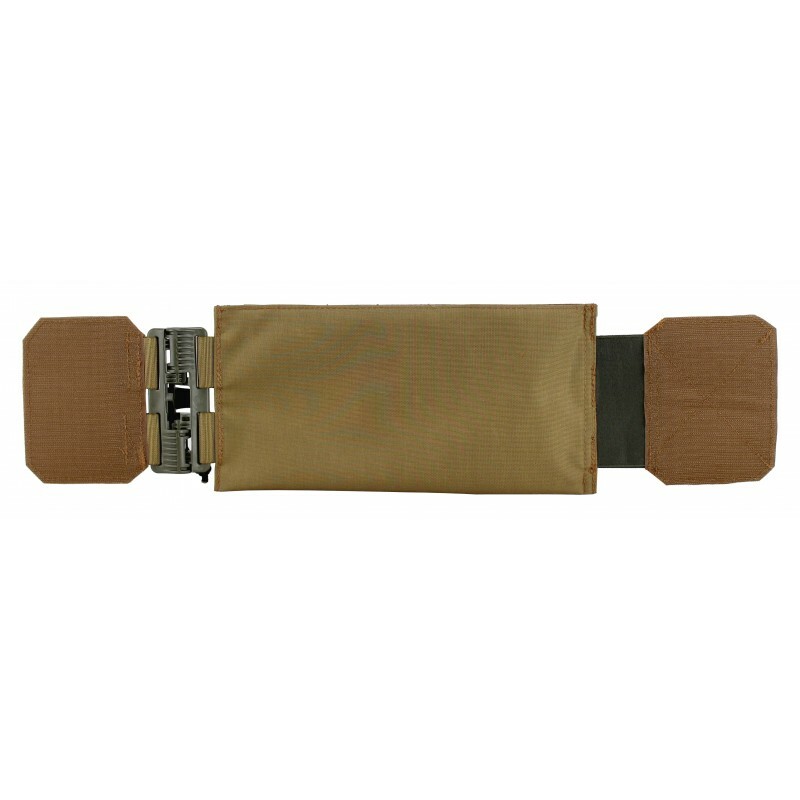 The ZenTube cummerbund can be opened and closed in seconds. 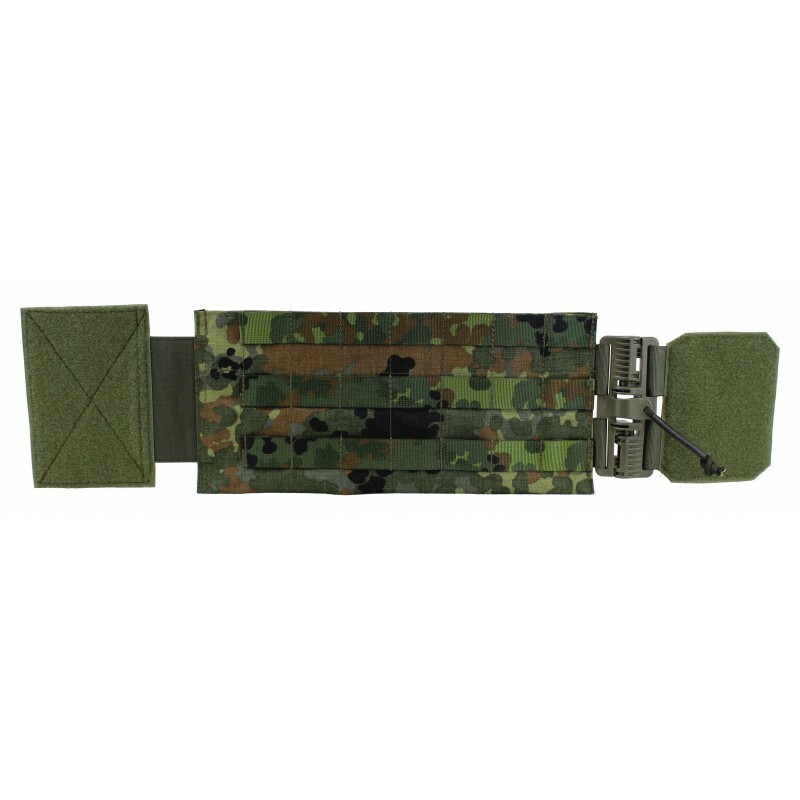 3x7 MOLLE rows are mounted on the outside for the assembly of further equipment. 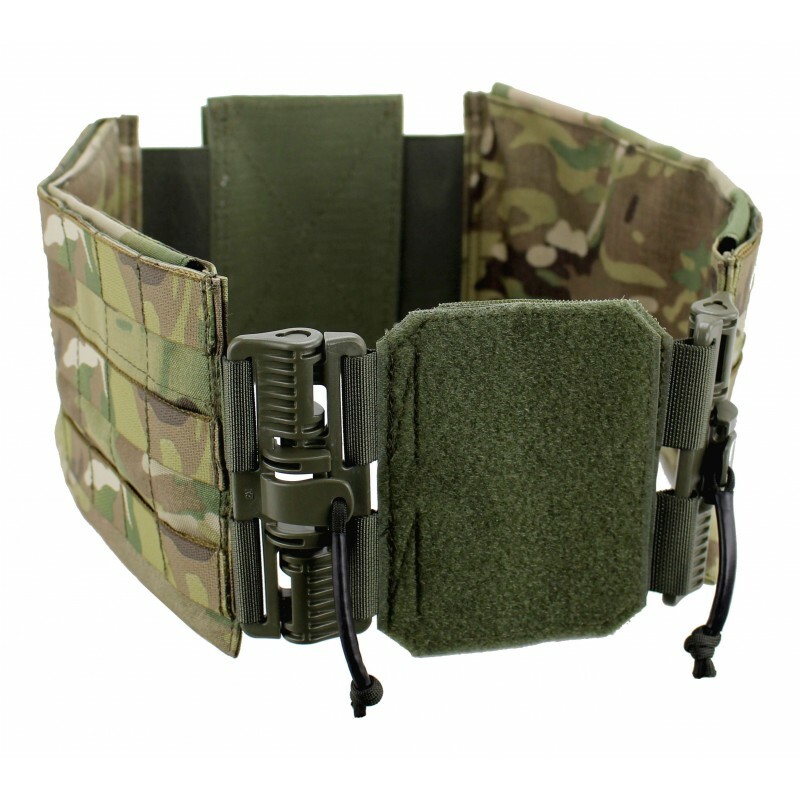 This ballistic conversion kit for the plate carrier Vulcan and Vulcan 2, as well as the ARES plate carrier is equipped with the quick release fastener Rapid Open Connector, or ROC for short. The solid Rapid Open Connector can be unlocked and opened in just one movement. The ca. 6cm long rubberized cord is pulled away from the body to unlock and led upwards for decoupling. 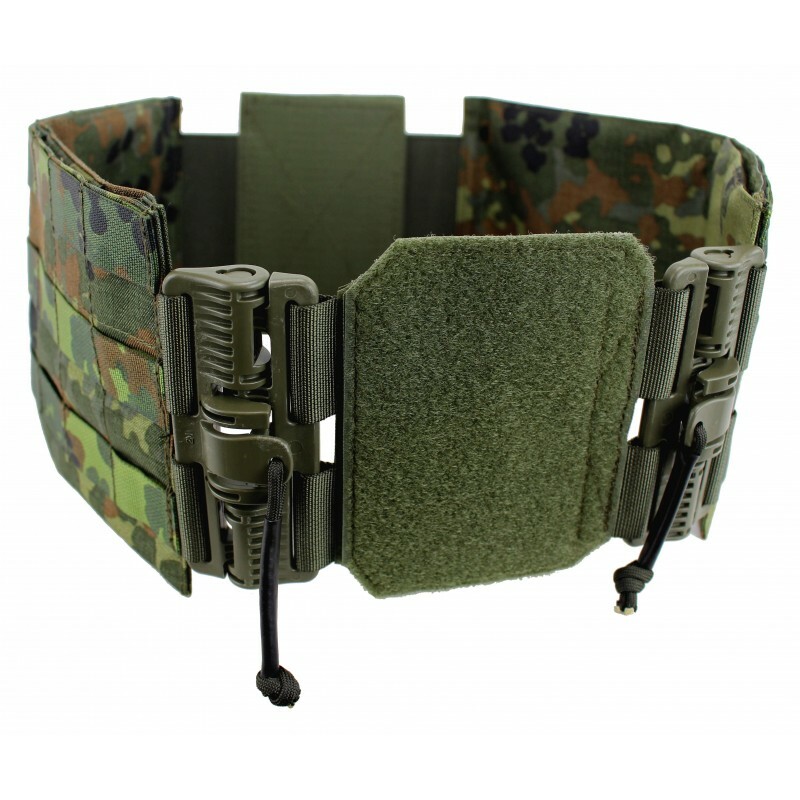 The advantage of this system is that the plate carrier can be quickly removed and put on without having to trigger a complex disintegration mechanism. 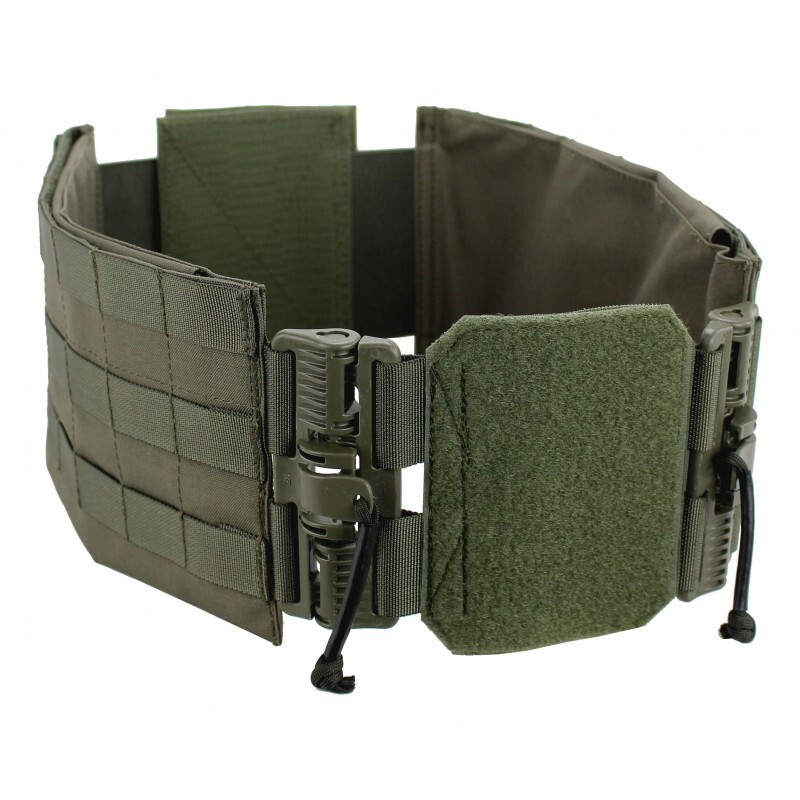 This ballistic variant of the cummerbund has 3 x 7 (row x channels) full loops on the outside to attach additional tactical equipment. 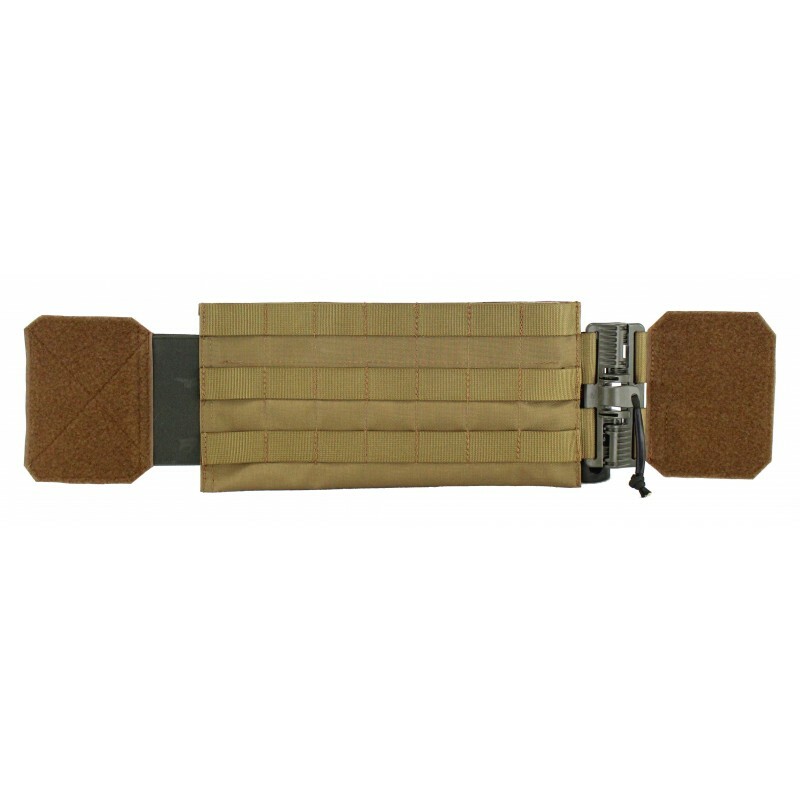 Inside, ballistic protection packages such as the NIJ IIIA ballistic inserts (side) or NIJ IIIA can be fitted. 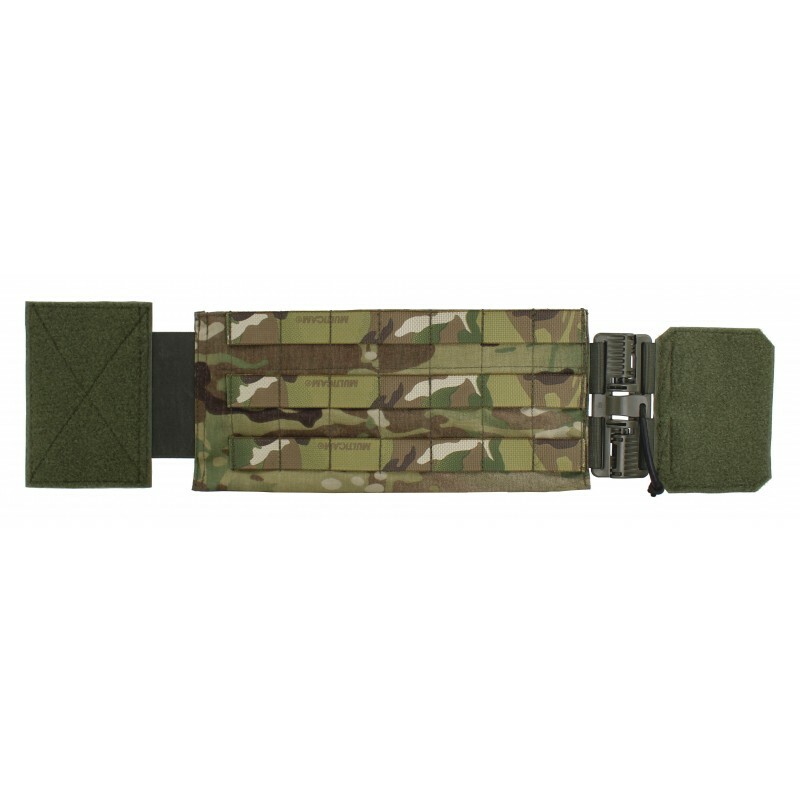 Hard ballistics like the NIJ IV Stand Alone side plate set 6x8. 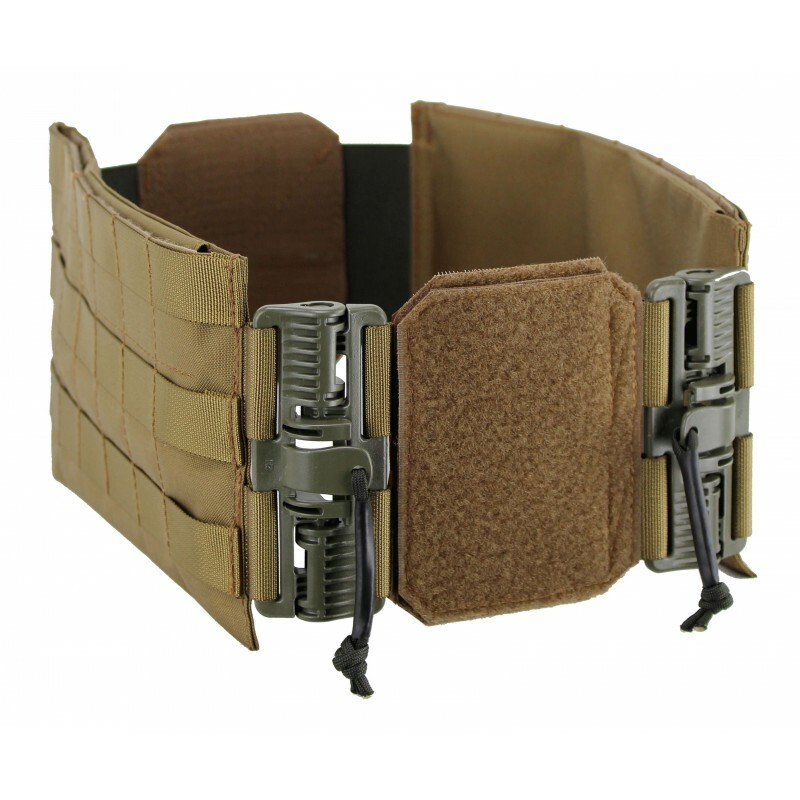 The cummerbund is closed by the flap, which is firmly attached to the side facing the body. 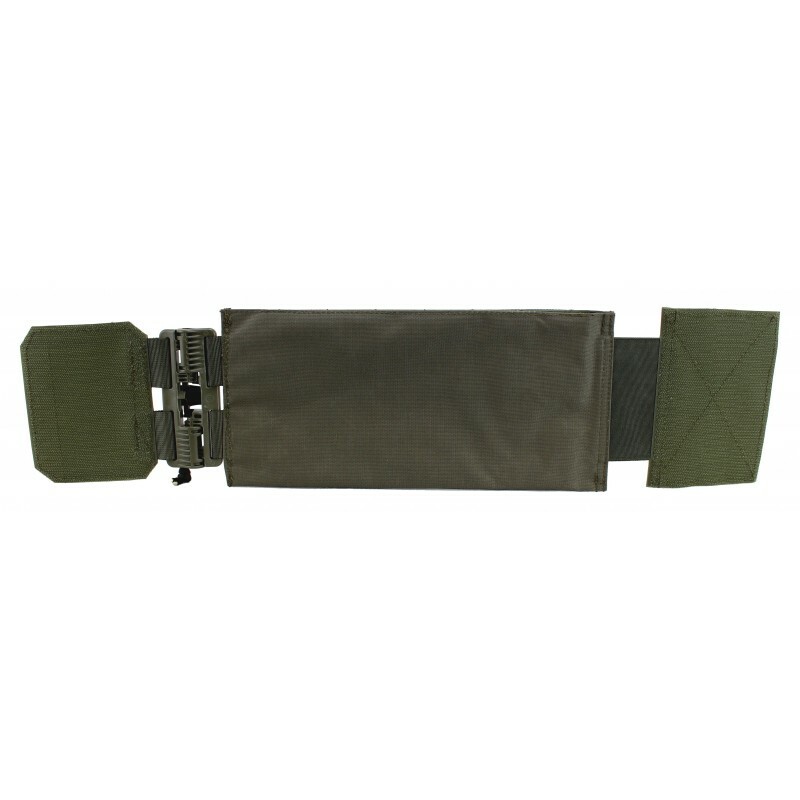 The inner pocket can also accommodate a combination of soft ballistics and Velcro magazine pouches. 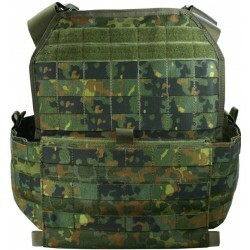 The size is adjusted via the fleece climbing surfaces of the respective plate carrier. 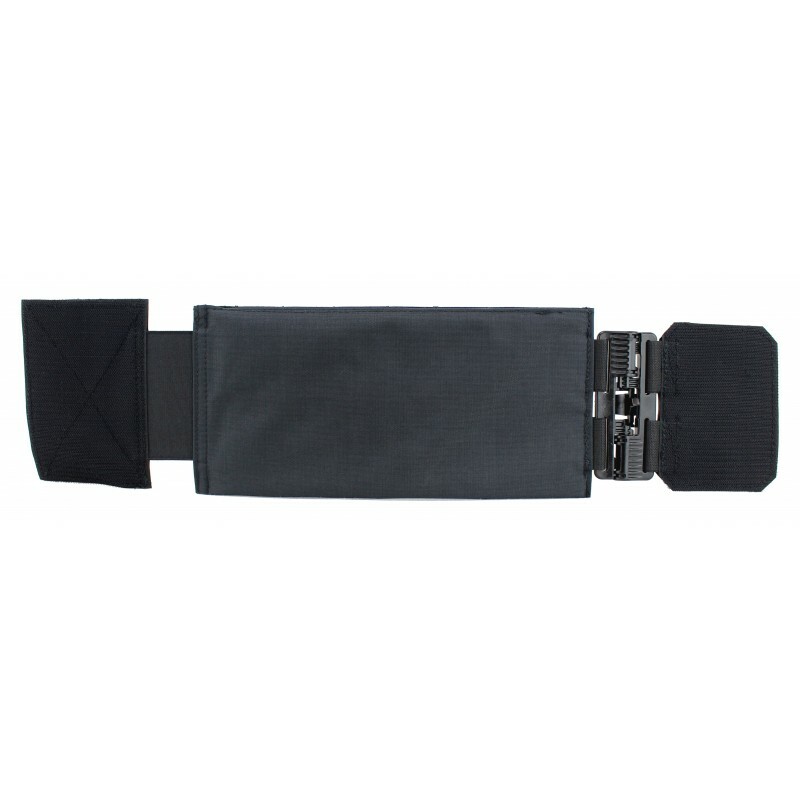 At the rear end of the cummerbund is a wide rubber band for better adjustment and comfort. 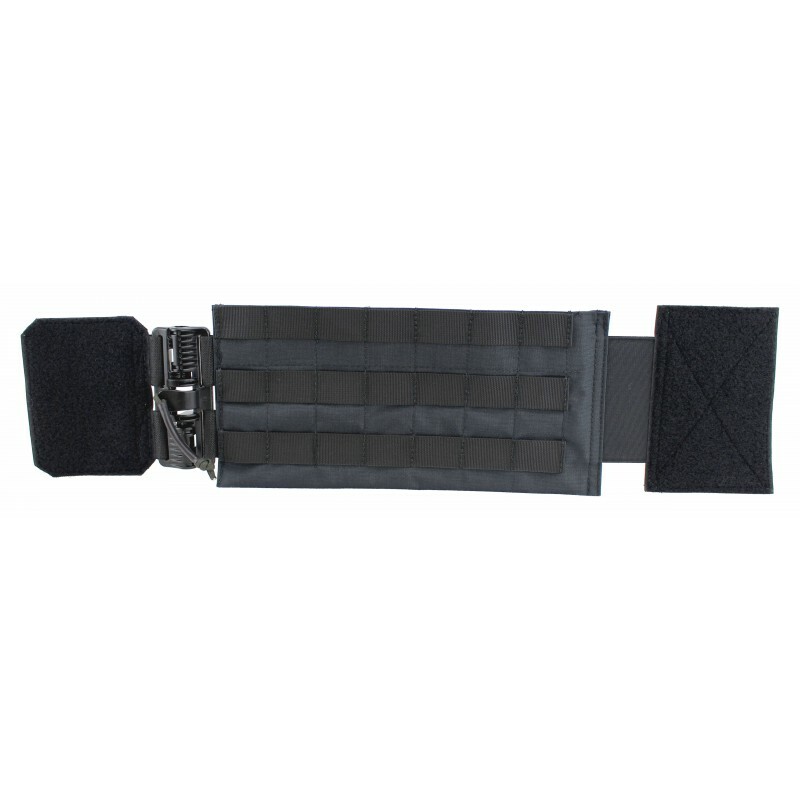 The ZentauroN quick release cummerbund (ballistic) is also suitable for flat plate holders from other manufacturers with Velcro surfaces on the front and back. 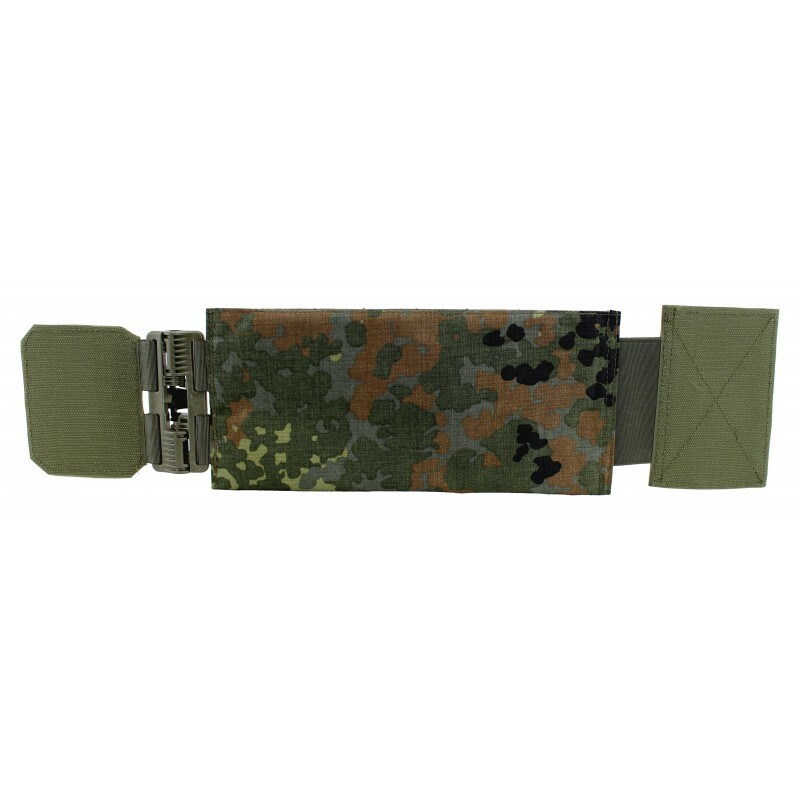 Warrier Assault, DCS, Recon Plate or various carriers of 5.11 Miltec, Condor, Tasmanian Tiger, the service delivered record carrier of the Bundeswehr for spec. and EGB forces of Lindnerhof Taktik and many others. 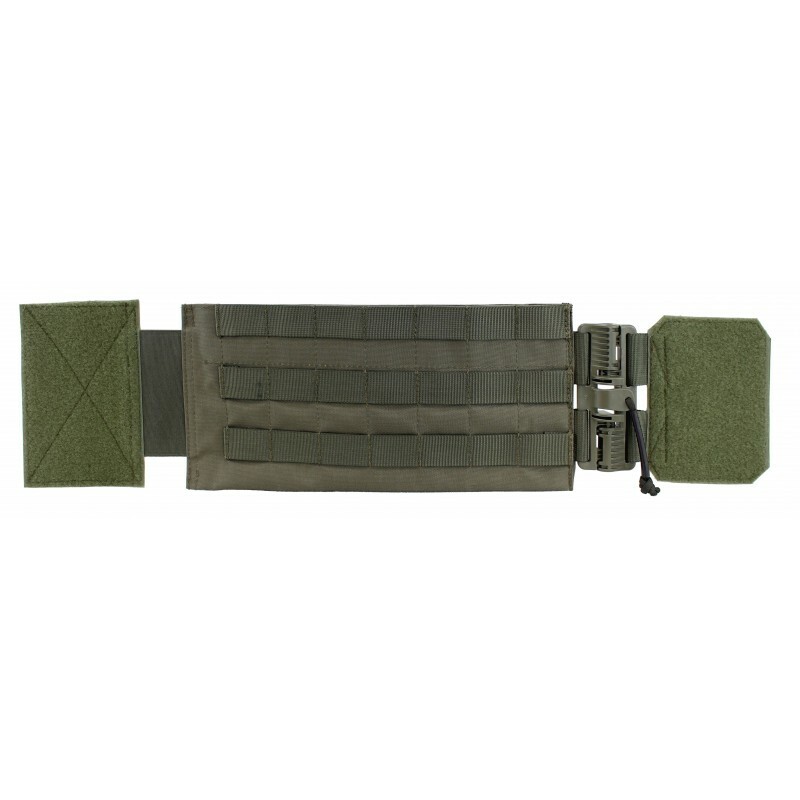 Equipped with the ROC (Rapid Open Connector) buckles, the cummerbunds can be loosened with a handle and closed just as easily again. 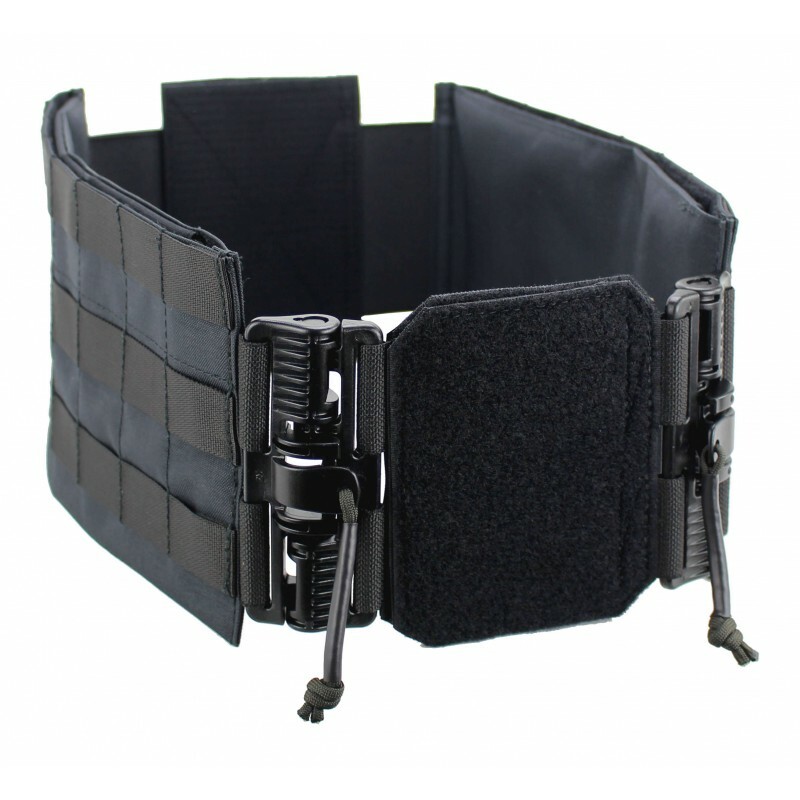 This increases your personal comfort and at the same time you don't have to do without the usual protection.